Morton National Park has many a charm, and ‘pockets of rainforest that are full of wildlife’, were promised. As part of our pre-Christmas get-away we took on the Amphitheatre Track, which also promised windows into the forest community. The walk starts out very pleasantly, with a short stroll through some lovely sandstone woodland. We were a bit late for peak-flowering I suspect, but there was still enough to pique the interest. Once we got to the lookout, not only was the view stunning (see below), but the vegetation changed rapidly to include a bunch of neat epiphytes and other cliff-hangers. Taking Ms4 and Ms6 bushwalking has really been an incremental affair. A year ago we were pleased to just get them out and into a walk of hundreds of metres near home. But we were so proud of their efforts descending a stair-case that clings precariously to the cliff side, and in parts, has gaps big enough for them to slip through. Certainly big-enough to keep the adrenalin and anxiety levels of any parent elevated. Flannel flowers, trigger plants and banksia open the Amphitheatre walk. Soon after disappearing into the fourth cavern of tree ferns and rainforest, horror struck in spades. After entering the real amphitheatre, Ms6 was grief-stricken and surrounded, hundreds of leeches were reaching, straining, trying, prying, swinging, for a latch-on. Clearly they were restricted to the wettest of wet patches during the dry season, and we had now found them. The visceral nature of the response by Ms6 was a little surprising, but on reflection, your first time can be a bit daunting (check the scream of Ms4 at the end of the vid – for which I am feeling a wee-bit guilty). Suddenly there was no more strolling through the meadow, no more ‘family ready for bushwalking’. It was on-the-shoulders for ‘just try 100 more metres’ to the waterfalls. We were rock-hopping through the wet areas, and striding through the dry, taking every opportunity to check shoes and heels. We didn’t make the waterfalls, but I reckon we got to within 100 m. Such was the commitment from the kids to not go further, although we had probably passed the danger-zone, we had to go back, and everyone knew that meant back through the ambush zone. From there, the way home, was pretty much the best pre-Christmas work-out one could wish for. Incentive to move, beautiful scenery, and the lumpy moving weights (Ms’ 4 & 6) that make every move harder than they would otherwise be in the gym. Making us proud-again was that once we made the stair-case that “leeches don’t like galvanised steel, trust me”, both young ladies happily ascended without support. Characterstically, Ms4 was able to proudly carry a genuine leech sucking episode and drop-off with a ‘it didn’t hurt at all’ [because they don’t] – much to the chagrin of Ms6. A final message from horror-land? I didn’t notice the final typical horror movie symbology until drafting this post. As a supporter of Canberra Nature Map, a citizen science project for the community to help monitor rare plants (and other things), I had been a little annoyed to not find a Flying Duck Orchid yet. 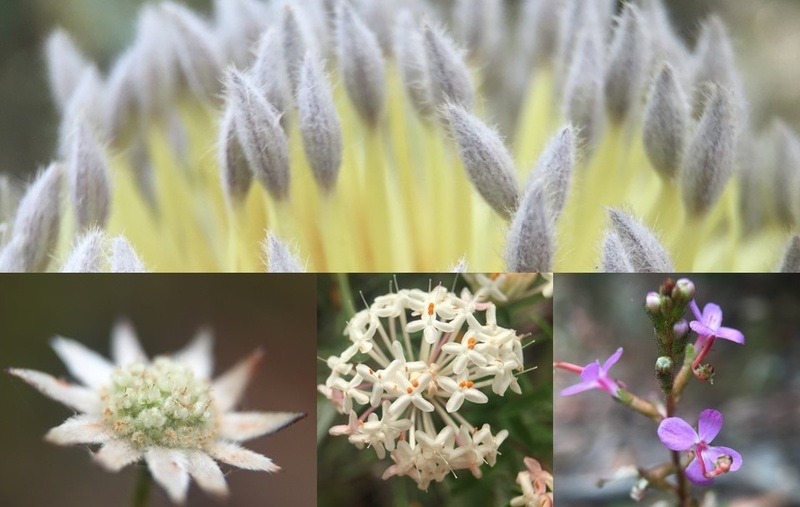 The Mulligans Flat Ecologist had recently highlighted her casual discovery of one from a local bushwalking trip – much to my chagrin. As we approached the carpark on our return, almost on top of a location where I had taken an image on the way in, I found my first Flying Duck Orchid. Having not seen it on the way in, it highlights the need for repeated, often, frequent and recurrent observations – you don’t see everything on the first time. 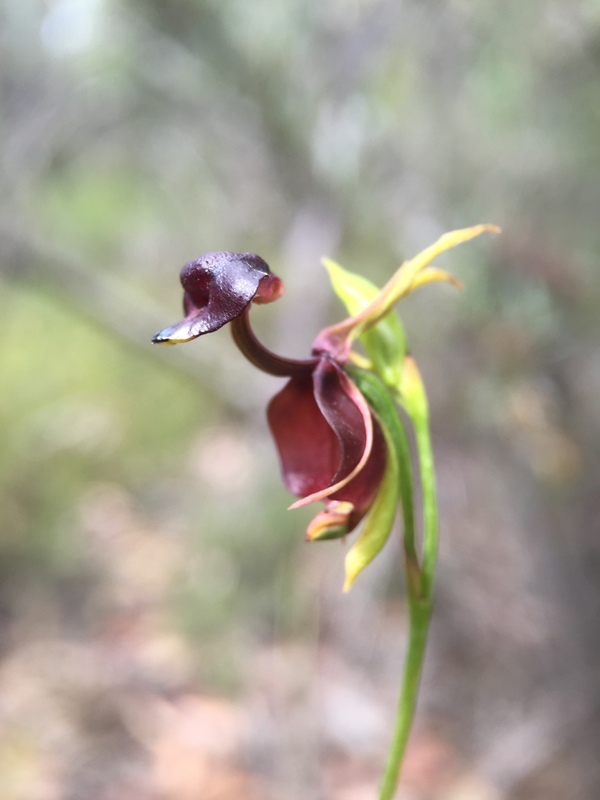 Of course the Flying Duck Orchid was pointing the way home – back to the carpark and back to a leech-free civilisation – like the beacon of hope at the end of most horror movies. It seems a simple thing, but couldn’t the sign at the entrance to the walk, warn intrepid walkers of the impending challenges? We could have whipped the Aeroguard out of the car and solved the problem at the outset of the walk at the carpark. Hey Jason, whereâs the rest of the post? As an aside, the bottom of those steel stairs (I don’t think they are galvanised but are actually stainless steel) is one of two locations known for Thismia clavarioides. The other is at the Fairy Bower Falls.